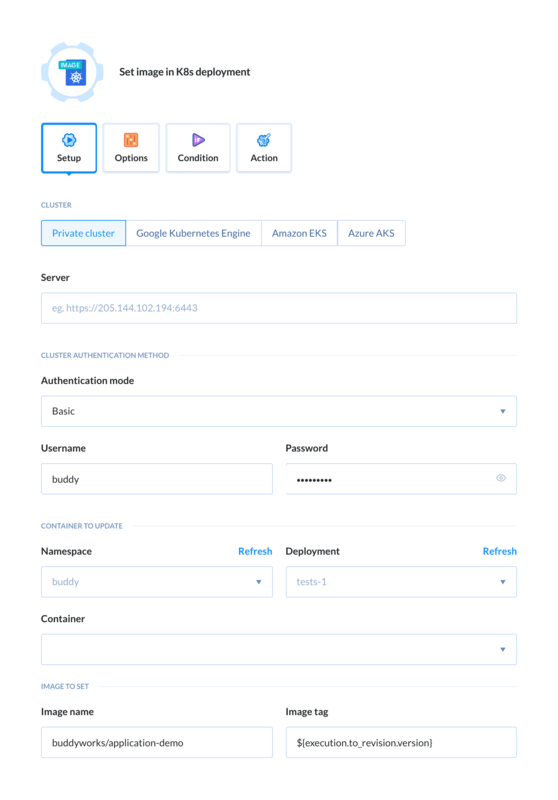 Kubernetes is a container-based platform for deploying, scaling and running applications. 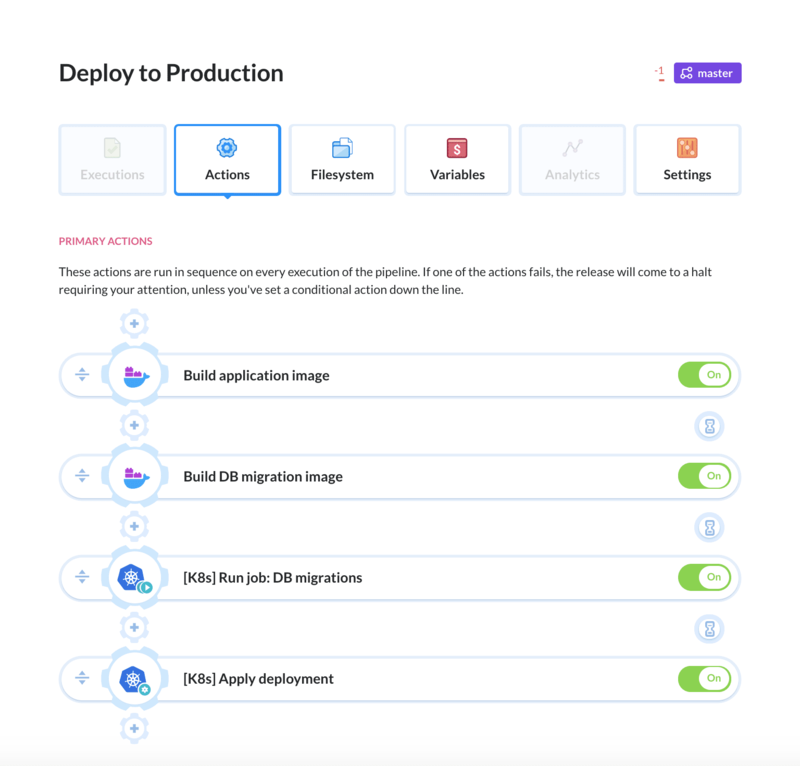 Buddy lets you automate your Kubernetes delivery workflows with a series of dedicated K8s actions. 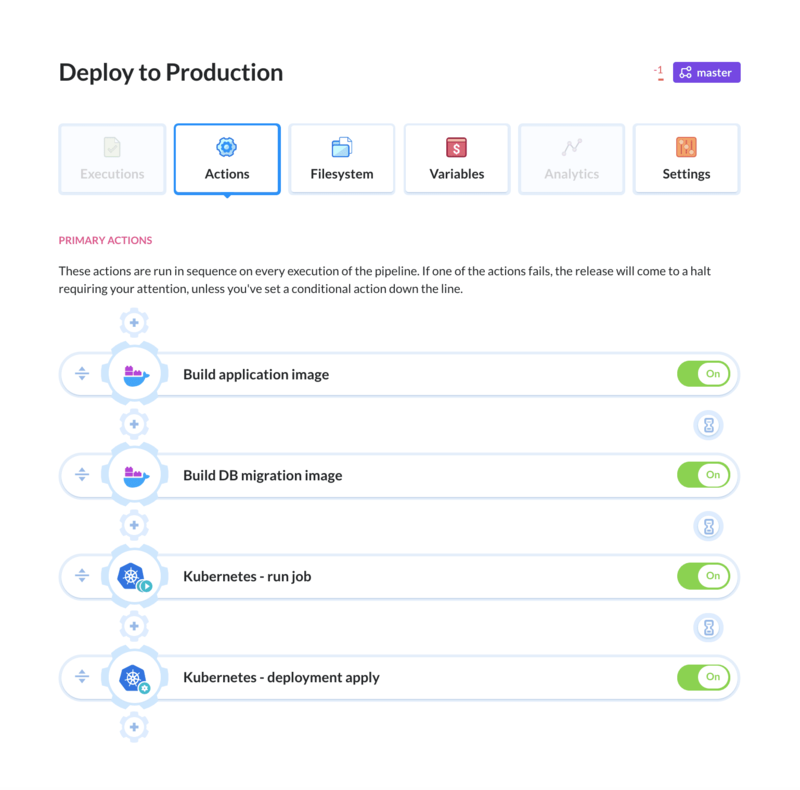 Each time you make changes to your application code or Kubernetes configuration, you have two options to update your cluster: kubectl apply or kubectl set image. If you often use kubectl apply or kubectl set image, this is for you! 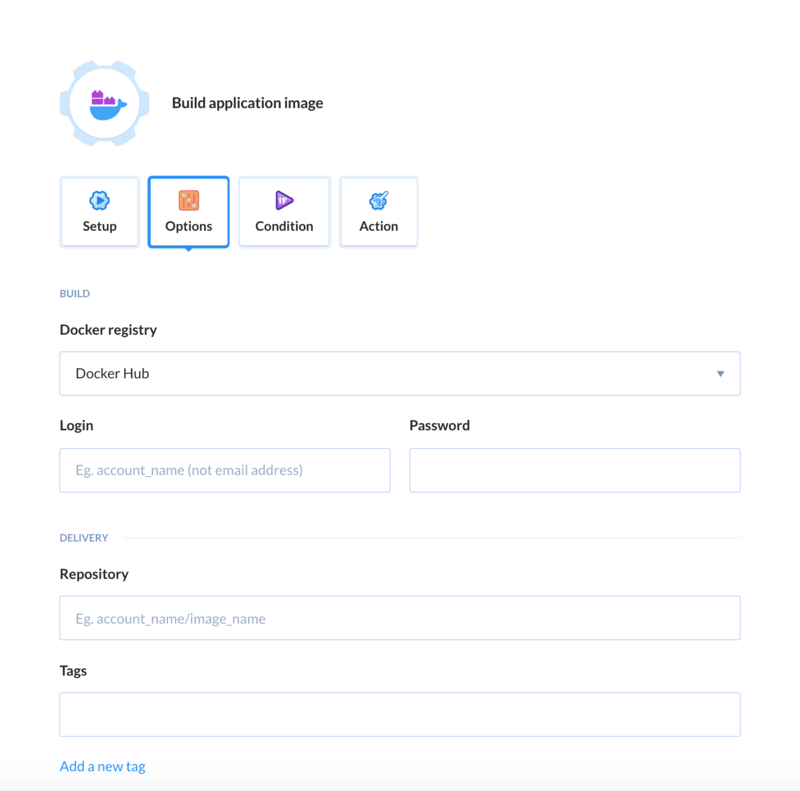 Add the Build Docker image action. 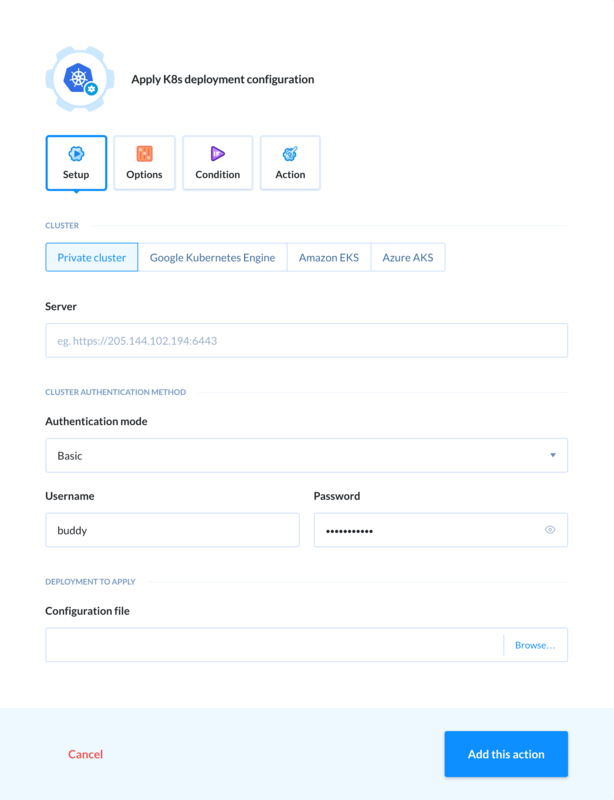 There you select the Dockerfile path, Docker repository, and the name of the image that you want to push. You can use the number of the revision for the tag with Buddy parameters. Select which container should be replaced and which image you want to use. Make sure to enter the name and tag of the image from step #2 above. Buddy will turn off the running nodes and switch them back on with the new image version. If you use a tag which is constant for every execution (eg. branchName) but different from ‘latest’, make sure to set the Pull Policy to ‘Always’. You can read more about updating images here. 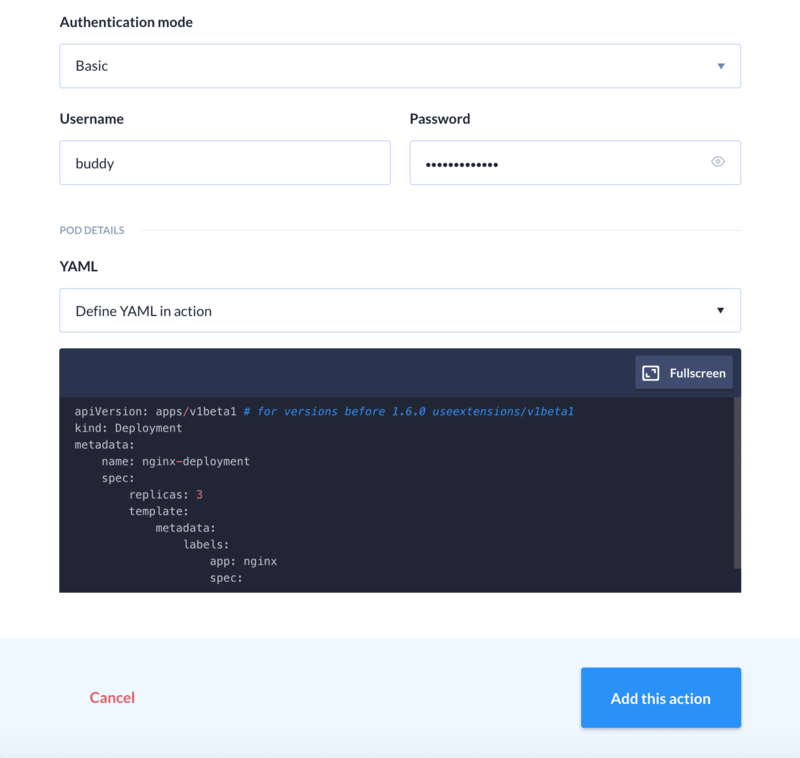 With every change in the YAML config or in your app code, Buddy will apply the deployment and Kubernetes will start transforming the containers to the desired state. The action will wait for the status of deployment, checking its rollout status. If any errors occur, the pipeline will stop as ‘failed’. you can either use pods or jobs. The first type launches a single pod with the task; the second one launches a series of pods until a specified number of them ends with a successful status. 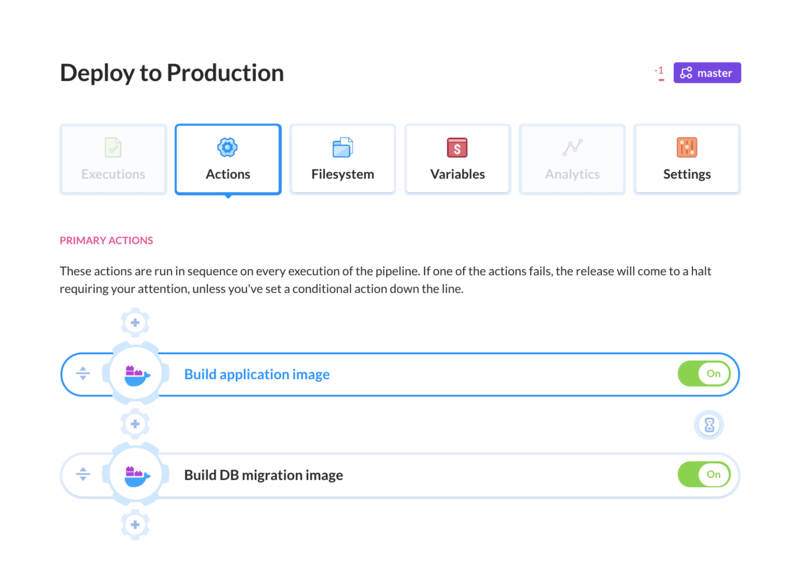 Once you make a push, the pipeline will automatically build and push the images to the repository and run your migration scripts. How cool is that? Hope you enjoyed this guide. If you’d like to see how it all works in practice, go ahead and sign up for a free trial now. If you’re not sure if you can apply our solution to your workflow, please reach out on the live-chat or drop a line to support@buddy.works and we’ll do it for you. 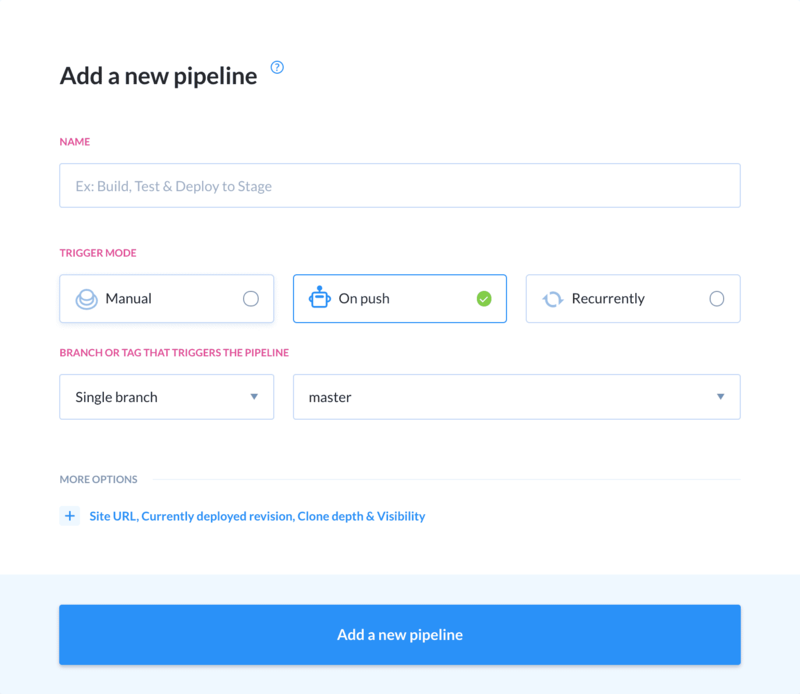 Automate your whole K8s release workflow in 20 minutes.